The Smartphones are coming with more and more powerful hardware that can easily handle graphic intensive tasks. So today we are talking about the HD games for android or you can say best graphics android games available. Gaming on Android is becoming more and more qualitative, before PC is the main source to play the quality games or you can also say the place to play real HD games, But now we can also have high graphics android games which will surely not going to give less Experience than PC gaming. This selection is according to our experience, so lets check out the best graphic intensive HD Android games. It is one of the best First person shooter game available to download, it has amazing Graphics which can grab your attention. 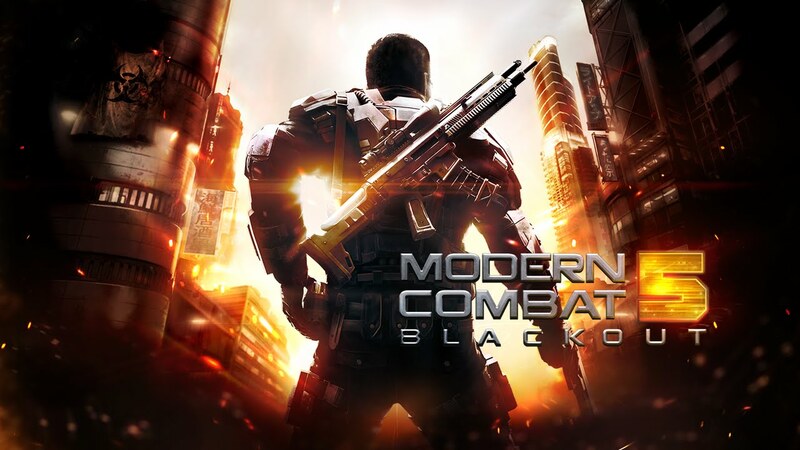 It is developed by the Gameloft and is the Fifth installment of the game. In this game you are playing as a Soldier, which has the ability to sprint, run, shoot, throw grenades and kill the opponents. It is one of the best HD games for android with beautiful locations to play like Venice, Construction site and a huge range of weapons available which you can unlock by playing and completing the different stages. As compared to previous version this is more high graphics hungry android game, now you can acquire the weapons, assault rifles of the enemy by killing them. The game has the five modes Free for all, Team deathmatch, VIP, Capture the flag, Zone Control. There are two modes Multiplayer and Single-player. The best part of the game is that it is available for free but the poorest part is that it requires a continuous internet connection. It is also designed and published by Gameloft and is one of the best racing games for Android in our list. It is the successor to the Asphalt 7: Heat and has options of Tilt to Control, On screen Steering, On screen buttons to control the cars. It has a huge collection of Cars including La Ferrari, Bugatti Veyron, Koenigsegg Agera R, Lykan HyperSport, Mercedes SLR AMG, McLaren MP4 12C, Audi R8, Pagani Zonda etc and this time you are also able to drive some of the Concept cars. There are 2 modes single-player and a multi-player. New concept in this game is that Gameloft has added ramps on the track through which you can perform various stunts. There are many new locations available like Monaco, San diego Harbor, Dubai, etc. A new update also brings the option to apply Decals on the car, this all features make this games as one of the high graphics android games, You can download it from Google Playstore for free, the game is also suggested as in the list of top free android games. It is designed by Firemonkeys Studios and is published by EA Games. It is basically a track racing game which differentiates it from its biggest competitor Asphalt 8, the game also comes under the list of best racing games for Android, game can impress anyone with its high graphics and responsiveness, and also supposed as one of the best high graphics android games in racing category. The Game controls are simple as on its previous version. The new update also brings the NASCAR challenges by which you can earn and purchase new Cars, there are number of cars available like Chevrolet Camaro ZL1, the Nissan 350Z, McLaren F1, Ford GT FIA GT1, BMW Z4 GT3, Dodge Charger SRT8, Bugatti Veyron 16.4,etc. You can play game as a single-player as well as a multi-player. There are various modes including Elimination, Endurance, Drag race, Speed snap, Head to Head, etc. The Graphics of the Game are amazing, and here are also various locations available like Suzuka Circuit, Melbourne, Silverstone Circuit, Brands Hatch, etc. You can enjoy it for free from Google Playstore. It is designed by Gameloft and falls in the category of Sci-Fi FPS Shooter game this also in the list of best shooting games for Android. This is one of the most hd android games which is very much Graphic Intensive . In this Game you have to kill the Aliens who want to rule over the earth and which makes it different from all shooting games. There are number of weapons available through which you can shoot, throw Bomb,etc. There are single-player as well as multi-player option available. To play this game your device is to be connected to Wi-Fi or a 3G connection. There are Different locations which are imaginary. A paid version is also available for this game which is N.O.V.A 3 Near Orbit Vanguard Alliance. You can download it for free and paid version both from Google Playstore. It is developed and published by Madfinger Games and falls under the Genre First Person Shooter. It is a free Zombie apocalypse themed game, The game offers the two control mode first one when you aim the zombie the gun will automatically shoot and in second one, you have to perform all tasks manually that is move, aim, shot, etc. The game’s basic objective is to kill more and more zombies. And extra points are rewarded for headshot and rescuing someone from zombies. The zombies are also categorised in two categories, first one are weak and slow, while second one are big and fast moving. The Game has beautiful graphics but is not suitable for childrens because of too much violence and blood, but the overall experience with this game we feel that this deserve to be in category under best Android HD games and best shooting games for android. Game is available for free on Playstore but requires sign-in, but that is not a big deal to sign in to play this games, and also this games come under top free android games available on play store from our side. So this is the top free Android games and top paid Android games that are very much graphic hungry. According to us to run these best graphics android games in your Smartphones and Tablets, your Device should have at least 2GB of RAM and a Octa-Core processor. For more Gaming related information stay connected to us.